Grreeting teaching staff. My name is Floyd Wilson. I hold a 4th degree Blackbelt in Aki/Jitsu. 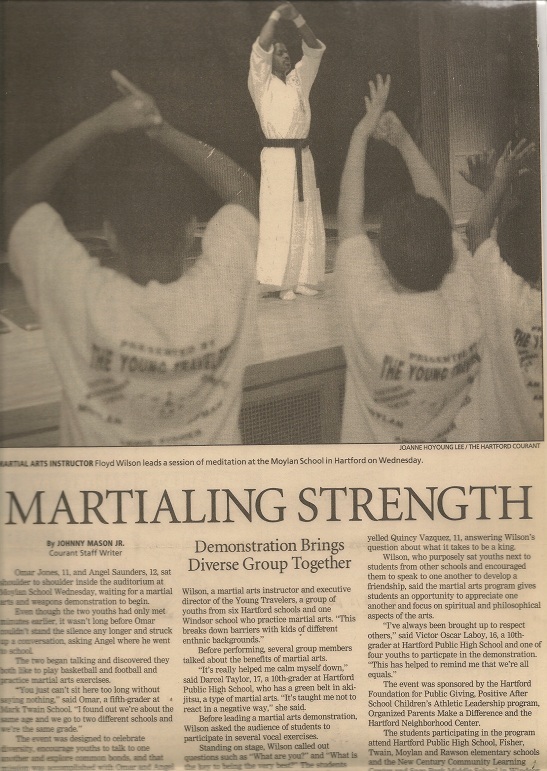 I have been teaching therapeutic Martial Art's for 20 years. I am currently the director of Gforce studio. Gforce studio's primary mission is to deliver therapeutic Martial Art's sessions to students enrolled in greater Hartford elementary schools. We teach students to be calm, focused, relaxed, in control all while affirming that they are wonderful and amazing.